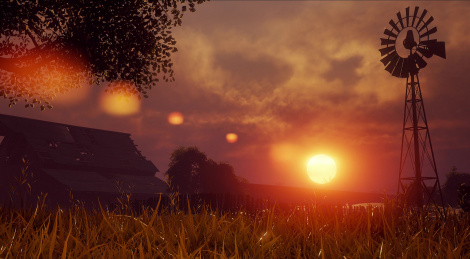 Despite the 6 GB patch we installed today, the State of Decay 2 captures we made during our lunch break confirm the unsteady framerate of the Xbox One X version of the game, one of the causes being that it is not locked at 30. Note that the game cannot hold a steady 60 fps framerate on PC when running in 4K with a GTX 1080 Ti, and that even in 1440p we have witnessed a few drops when on top of a tower (the draw distance might be to blame but we haven't had time to find out for sure yet). Inside, you'll find the introduction of the game recorded on Microsoft's console, but we'll be back with more content as soon as we can. Verdicts and reviews are under embargo until Thursday but since (for some unknown reasons) Miguel is the one who was sent the code last week and he didn't even realize it, we were only told yesterday. Don't expect us to be able to give you our opinion soon. If that makes you grumpy, we will provide the virtual tomatoes so you can get back at him and make him pay. Update: 2 Xbox One X gameplay videos added. And please leave Miguel alone, I read Gaming news everyday and listen to many podcasts and even I didn't know State of Decay 2 was about to be released. This is a perfect example of a game receiving none to very little marketing before release. Last trailer was at E3 2017 on June 12th. At least here on Gamersyde. But I also don't remember seeing it mentioned more than a couple times since then. Feels like Microsoft is sending it out to die or doesn't have enough confidence on the game. 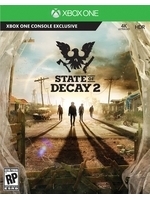 Which coupled with the performance issues is a shame, since the first State of Decay was very unpolished and had performance problems as well, something people were hoping they would significantly improve on a sequel. I know the studio is still a small/medium one, but after the success of the first game and more backing from Microsoft, people will expect more from them. Outch, gonna wait to read about how this game performs on regular 1080p on PC but I think I might pass on this one. Shame, I played the hell out of the first one and the DLCs so I was looking forward to this sequel. the jogging animation is the funniest thing I've seen in a long time. bouncy bouncy bouncy. They said it'll be eventually on Steam, i guess after few months tho. But anyways, it's not a big loss if is missing.